The Hollywood Community Studio will host a workshop on Green Building, Sustainability, and Healthy Communities on Saturday, October 10, from 9 a.m. to 2:30 p.m. The FREE workshops will take place at Selma Elementary School (6611 Selma Avenue) in Hollywood. All community members, including business owners, are invited to participate in interactive workshops to learn more about green job opportunities, how to green a home or business, and how going green can save money and create healthier neighborhoods. Guest speakers will include representatives from LA Voice, Thai Community Development Center, Hollywood Community Housing Corporation, Pacoima Beautiful, and more. Childcare and lunch will be provided. For more information, click here. Exposition Park/Dr. Mary McLeod Bethune Regional Branch, 3900 S. Western Ave, South L.A.
On Saturday, my office hosted a neighborhood walk of Historic Filipinotown. We brought local government to people at their doorstep, asking residents about their concerns and distributing information about the city services available to them. Many thanks to the members of the HiFi Chamber of Commerce, LA Neighborhood Land Trust, Clean and Green, and L.A. Derby Dolls -- as well as other volunteers -- who helped me canvas the neighborhood and knock on more than 100 doors. After the walk, I attended the launch event of the Pilipino Workers' Center's walking tours and screenings of work by Pdub Productions. On the Mobile HiFi tours, participants can stroll the neighborhood or ride in the PWC's Jeepney (pictured at right) to learn about the rich history of Historic Filipinotown. On Saturday, the tour guides included yours truly, and I hope my riders had a good time! Have some time to help kids succeed in school? 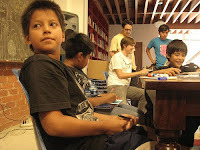 826LA is looking for volunteers who can give any amount of time to tutor students from elementary through high school. The LA-East location is in Echo Park on Sunset Boulevard (between Logan and Lemoyne). 826 is a non-profit organization founded by author Dave Eggers to help young people develop their creative and expository writing skills. With locations around the country, 826 provides drop-in tutoring after-school, in-school programs, and weekend workshops designed to demonstrate how much fun writing can be. If you're not sure you have time to commit, you can also support 826LA with an online contribution or by purchasing an item from the Echo Park Time Travel Mart, which fronts the writing lab. For more information, call 213-413-3388 or send an e-mail by clicking here. Today I attended the monthly meeting of the Griffith Park Adult Community Club at Friendship Auditorium. It was great to see so many active seniors interested in our city. 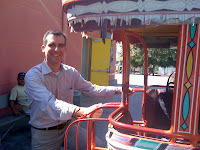 We had an interesting dialogue about Los Angeles's future, particularly the status of our budget and public safety. I'm already looking forward to attending another meeting. I'm pleased to announce that Caltrans has awarded $225,000 through its Caltrans Environmental Justice: Context-Sensitive Planning Grant to conduct community-based outreach in Virgil Village. I'd like to recognize the Los Angeles Neighborhood Initiative (LANI), which worked with my office to submit the application and will be managing the grant and outreach process. LANI has a long tradition of working on neighborhood revitalization projects through a community engagement model. In fact, this is the second time that LANI has worked in Virgil Village. I’m looking forward to working with LANI and community members to get some great ideas for how we can improve on the work that has already been done. Want to learn more about the Historic Filipinotown neighborhood just west of Downtown LA? 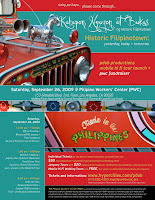 On Saturday, September 26, the Pilipino Workers' Center (153 Glendale Blvd.) is coordinating a number of activities including walking tours and screenings of work by Pdub Productions, a program through which local young people create media presentations about their Historic Filipinotown (Hi Fi) neighborhood. Mobile Hi Fi Walking Tours will be conducted from 1 p.m. to 6 p.m., and allow participants to experience the neighborhood's past and present through interactive mobile devices as well as longtime local resident tour guides. Tours are free, but reservations are required. The Barrio Fiesta featuring food and live music will begin at 6:30 p.m. This event is a fundraiser to benefit the Pilipino Workers' Center. Click here to sign up for a free tour, purchase a ticket to the Barrio Fiesta, or get more information. An ice cream social and movie to benefit the Echo Park Advisory Board will take place on Sunday, Sept. 27, from 3 p.m. to 5:30 p.m. at the Echo Park Recreation Center (1632 Bellevue Avenue). Help raise funds for scholarships for local students, support recreation in the community, and have fun eating sundaes and watching movies! Storytime starts at 3 p.m. and movie shorts begin at 3:30 p.m. Sundaes will be sold at $1 for youths and $3 for adults. Movies entrance is free with a sundae purchase, or just $1 on its own. For more information, call 213.250.3578. I'm proud to announce that NavigateHollywood.com has been recognized an Award of Distinction from the International Downtown Association. This site is a great resource for visitors and residents seeking traffic and transportation information. It also allows you to sign up to receive e-mail and text notifications that make it easy to stay up-to-date on street closures and special events. Managed by the Hollywood Property Owners Association, NavigateHollywood.com has information about public transit, parking, taxi, and bicycle facilities in Hollywood. It received financial support from more than a dozen Hollywood businesses and was the first item to be completed as part of my Hollywood Transportation Strategic Plan. Many thanks to Kerry Morrision and the Hollywood businesses that made this project possible. Think your salsa sizzles? Enter the annual "Seize the Sizzle" salsa contest at the Echo Park Farmers' Market this Friday night. The festivities begin at 6 p.m. in the parking lot off Logan Street (south of Sunset Boulevard). The contest is free and open to all market patrons, farmers, and vendors who participate in the weekly markets. Participation is limited to the first 30 contestants and all are encouraged to use fresh ingredients from the market. Prizes will include cookbooks, cookware, and gift certificates for restaurants and businesses. For more information, contact the Sustainable Economic Enterprises of Los Angeles (SEE-LA), which operates the market, at (323) 463-3171. Reducing crime in our neighborhoods has been a priority for me since I was elected to the City Council, and I've worked to make the Drew-Estara neighborhood safer through a combination of increased law enforcement resources and the provision of more educational, recreational, and economic opportunities for the families there. Early this morning, dozens of arrest warrants were served on members of the Avenues gang, including some who live in the Drew-Estara area. Currently in custody are gang members charged with felonies ranging from drug and weapons trafficking to murder. The indictment was the result of months of work by a multi-agency task force that included the Los Angeles Police Department, U.S. Drug Enforcement Agency, and the Bureau of Alcohol, Tobacco, Firearms and Explosives. A command post has been established in Glassell Park and there will be meeting tonight at 6 p.m. at Washington Irving Middle School auditorium to brief community members on the action. Today I attended the dedication of the new wing at the Blind Children Center. The new wing includes two large classrooms that will allow the Center to serve more students. Located in East Hollywood, the Blind Children’s Center has been operating for 70 years, and now serves more than 100 children and their families each year through stages of life from infant to second grade. The Center also provides home-based services that are free of charge. 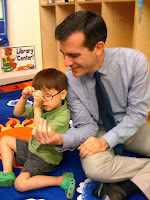 I'm proud of the Center's commitment to our community and our kids! 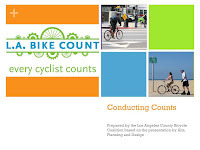 Tomorrow the Los Angeles County Bicycle Coalition will begin L.A.'s first-ever count to help quantify the number of people traveling by bicycle and foot. The count will also collect geographic and time data so that we'll know, for example, where and when bike and pedestrian traffic is the heaviest. This information will better inform decision-making about planning and land use. More than 200 volunteers are participating in the count, which begins tomorrow at 7 a.m. and continues through Saturday. For more information about the count or to volunteer, click here. The Glassell Recreation Center (3650 Verdugo Road) has released its Fall 2009 schedule. There is something for everybody, including flag football and guitar lessons for youth. Teens can take advantage of cooking classes, study time, and job skills training, while adults can enjoy a variety of music and fitness classes. Registration begins on Monday, September 21. You can see a full list of classes and services here. The U.S. Department of Energy has provided the City of Los Angeles with $37 million in federal stimulus money through American Recovery and Reinvestment Act. 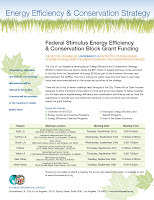 We want your best ideas on how to use this money to promote energy efficiency and conservation. Environment LA is hosting seven community Open Houses to receive input from local residents. Participants will also be able to learn more about how the funding works, energy incentive programs, green jobs, and more. One of the meetings will be held at the Hollywood Neighborhood City Hall (6501 Fountain Ave.) on Wednesday, September 23, from 11 a.m. to 2 p.m. Because this is an open house format, participants may come and go at their convenience. The Eagle & Badge Foundation's gala will be held Saturday, September 26 at the Hyatt Regency Century Plaza Hotel. This annual event raises funds to help the families of police officers and the children in the communities served by Los Angeles Police Department. I am honored to be this year's recipient of the Leadership Award. Others who will be recognized for their support of our police department include: City Attorney Carmen Trutanich, CBS 2 Sports Director Jim Hill, Assistant Secretary of the Navy Harvey C. Barnum Jr., and AltaMed Health Services President/CEO Castulo de la Rocha. There will also be a special tribute in honor of the officers who are this year's LAPD Medal of Valor. The evening includes silent and live auctions, a gourmet dinner, entertainment and an opportunity for the guests to learn about the many units of the LAPD, including SWAT, Bomb Squad, Canine Unit, Underwater Dive Team and more. For information on tickets, tribute ads and more, please call 818-994-4661. More Zipcars coming to L.A.
Today I joined Mayor Villaraigosa, Zipcar President Mark Norman, and students from UCLA and USC to introduce an on-street pilot program that will make it easier for Angelenos to participate in the Zipcar car sharing program. Our partnership with Zipcar will give more people a real alternative to owning a car without having to sacrifice the flexibility of having one when they need one. Through this pilot program, the Zipcar fleet will have designated on-street parking spaces near UCLA and USC, where the car sharing program's popularity is growing among college students. Zipcar will also add 12 cars to its existing fleet that serves these two campuses. This program will reduce carbon emissions, reduce traffic congestion, and help the people of Los Angeles save money. Each Zipcar takes between 15 and 20 personally-owned vehicles off the road. To find out more or to sign up to participate in the program, visit Zipcar's website here. 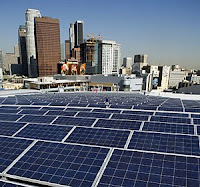 The Los Angeles Department of Water and Power will be holding community outreach meetings to seek input from ratepayers, solar industry representatives and other stakeholders through public workshops in September 2009. All are encouraged to participate in these meetings. There will be one held in Council District 13 on Tuesday, September 22, from 6 p.m. to 8 p.m. at Glassell Park Community Center (3750 Verdugo Road). For more information and to see a full schedule of public meetings visit LADWP's solar information website. Today my office partnered with DoSomething and the Sisterhood of the Traveling BDUs to host a community cleanup in the neighborhood around Belmont High School. Volunteers collected trash, planted a tree near the school, distributed information about the MillionTreesLA free tree program, and inspired residents and students in the neighborhood to become block captains and to "do something" to help their community. The clean-up was organized in honor of the September 11th National Day of Service and Remembrance. This is especially significant because Sisterhood of the Traveling BDUs is an organization of teen girls whose parents or relatives are in the military. The Sisterhood's goal is to work together to improve communities at home while their loved ones are deployed, and to help military girls connect with other teens who face the same challenges. 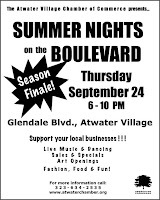 Enjoy music, dancing, food, and fun at the season finale of Summer Nights on the Boulevard in Atwater Village. This event is sponsored by the Atwater Village Chamber of Commerce and will take place between 6 p.m. to 10 p.m. along Glendale Boulevard. Check out the local shops and restaurants and support neighborhood businesses. For more information, contact the Atwater Village Chamber of Commerce at 323-634-2535 or visit the website here. 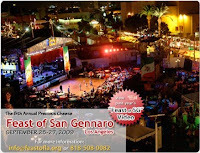 Mark your calendars for Hollywood's 8th Annual Feast of San Gennaro, which will take place September 25-27 on Hawthorn Avenue between Highland and Orange. This year's festivities will feature food, music, carnival rides, bingo, a children's area, and more. Thursday night's Prima Notte opening gala will benefit the San Gennaro Foundation that supports programs for underprivileged children, families, and homeless people in Los Angeles. At this event, LAPD Assistant Chief Sharon Papa will receive the San Gennaro Foundation's Humanitarian Award. Television personality and event co-founder Jimmy Kimmel will host the evening fundraiser along with Adam Carolla. Tickets to the opening gala and more information about the Feast are available here. On Saturday, September 19, the Greater Echo Park Elysian Neighborhood Council is hosting a clean-up of the Elysian Park Trail. All are invited to help scoop the poop along the loop. Trash bags will be provided and volunteers are encouraged to bring their own scoopers, shovels, or rakes. The fun begins at 8:30 a.m. at the memorial garden just east of the entrance located at the end of Park Drive. Today I attended the closing ceremony for the Summer Night Lights program, which kept 16 recreation centers open during the late evening hours throughout the summer. Similar to the At the Park After Dark program we started in Glassell Park, each program included activities of interest for young people of all ages, but was especially designed to attract teens who might otherwise just be hanging out on the street during these late hours. Across the city, thousands of people participated in Summer Night Lights and it's helping to make our city safer. I want to acknowledge all of the people who have made this program a success, including the city staff, our partner community-based organizations, Youth Squad members, and especially the young people and families to came to their neighborhood park to enjoy Summer Night Lights. Final Atwater Village Job Readiness Workshop completed... now, come to the Job and Resource Fair! Last week, we held the last in our series of Job Readiness Workshops at Chevy Chase Park in Atwater Village. These free events provided information to people about how to qualify and prepare for construction jobs. This workshop was led by Rene Jann Whelston-Brooks of the Construction Trade Council and Jane Templin from Electrics Training Institute. Our guest speaker informed the participants about apprenticeships opportunities, career paths in construction, how to prepare for a job interview, how to create a resume, strategies for getting and keeping a job, and how to join a union. On Saturday, September 19, we will host a Job and Resource Fair from 10 a.m. to 2 p.m. at the Chevy Chase Recreation Center. For more information, contact Arsen in my office at 323-957-4500. On Thursday, September 3, the City of Los Angeles will celebrate 30 years of Farmers' Markets with an event called 30 Years and Growing. The event will take place on City Hall's South Lawn (First and Main Streets) from 10 a.m. to 2 p.m. in conjunction with the Arts District Little-Tokyo Certified Farmers' Market at City Hall, which takes place every Thursday. Come check out the day's events, including a salsa recipe contest, a tasting booth, and a chef demonstration sponsored by GOOD Magazine.